The Annual St Croix Christmas Boat parade is a family-friendly day that kicks off our festive island Christmas season with a bang. Its also the largest boat parade in all of the Caribbean! This all-volunteer event is now a community tradition and we welcome tourists to join us as we celebrate good cheer. 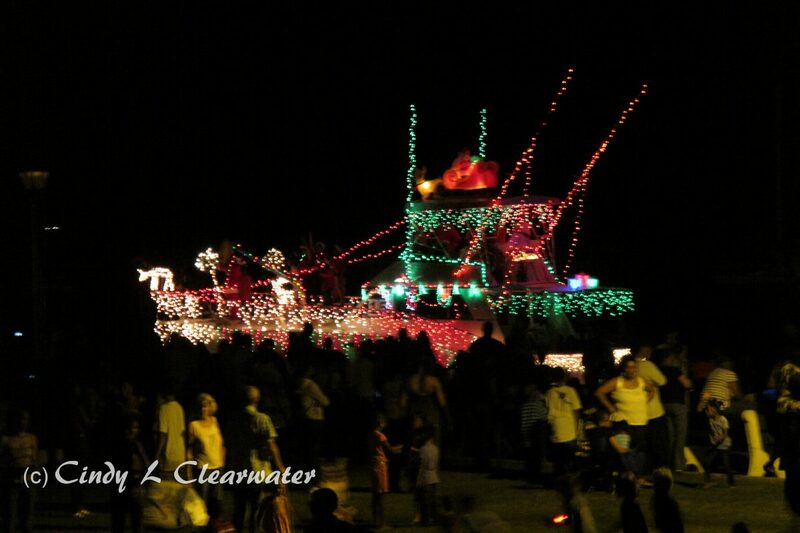 The boat parade offers a unique opportunity to enjoy the historic Christiansted harbor by the colorful, twinkling lights of the participating vessels. Over 25 boats of varying sizes compete in categories like “Best Lighting”, “Best Music” and “Best Animation”. You’ll likely spy Santa and his reindeer as they take a short break before their busy season. The evening finale is a spectacular fireworks display that is truly magical above the glimmering lights of the boats. Events are posted as a courtesy to our users. We are not responsible for changes to dates or times. Please confirm details with Event Organizer or Venue.